TomTom, one of the names synonymous with Portable Navigation Devices (PND) is set to launch a new range of TomTom Go devices, beginning with the US and Canada. It promises to redesign the experience, and help users navigate with its new map and traffic centric interface. The new TomTom Go series comes with TomTom Traffic, which pinpoints exactly where delays stand and end, helping drivers to avoid delays, and get to their destinations without delay. Drivers can also connect to the TomTom Traffic via Smartphone by simply downloading the free TomTom MyDrive mobile app. Lifetime TomTom Traffic, which covers 99.9% of all roads, and precision as close as 30 feet every two minutes. Interactive Map, which lets you pinch and zoom, and explore places on the map. 3D Map, which brings buildings and landmarks to life. D, so that drivers can see clearly and confirm exactly where they are. 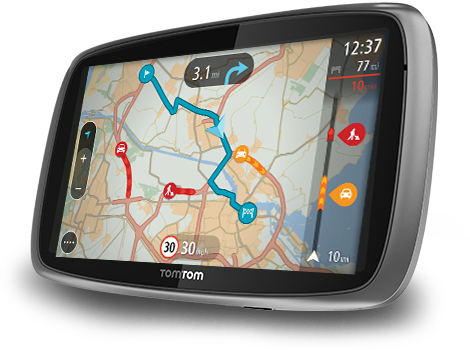 TomTom Traffic offers features such as Jam Ahead Warning, Road Closure Detection, Road Works Detection and so on. More details, pricing and availability will be announced closer to the launch date late Q1 2014.